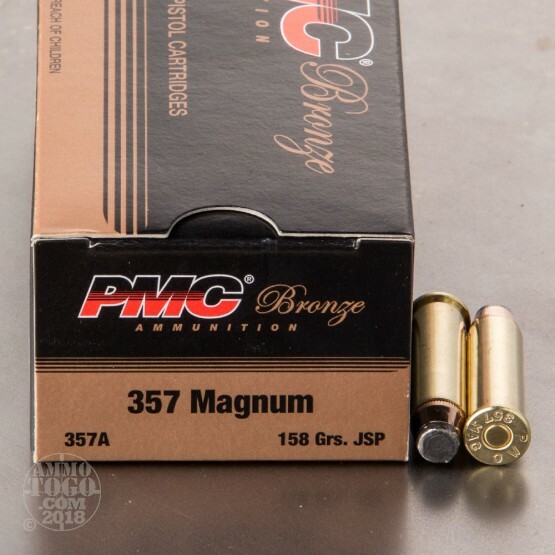 This versatile .357 magnum load is not only great for revolver hunting but a reliably feeding companion to lever-action rifles with tubular magazines! 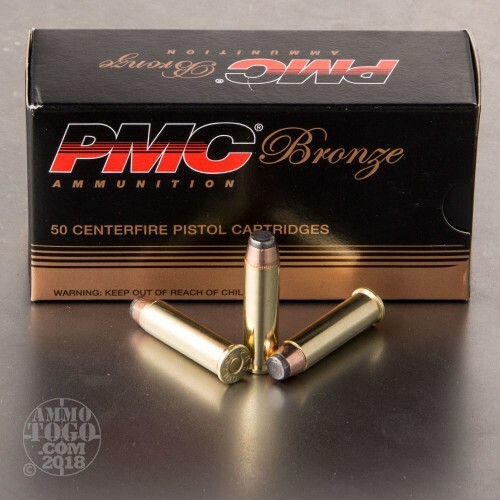 Each of these cartridges utilizes a reloadable brass casing fitted with a clean-igniting Boxer primer and topped with a jacketed soft-point (JSP) bullet. This particular JSP design uses a toothed cannelure at its crimp point and a high reaching copper jacket which is lightly skived where it meets the minimally exposed lead core. The result of these features is a consistently accurate round which will expand dependably while penetrating past dense hide and bone and into the vital organs of hogs, deer, and other medium game. 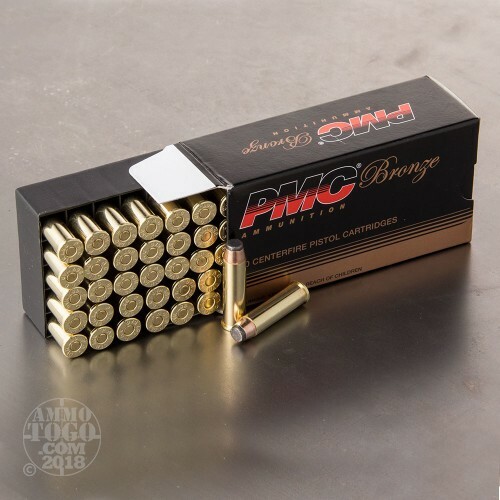 PMC is a South Korean entity which not only manufactures ammunition for commercial export, but is solely responsible for supplying the local military and supporting NATO allies. They've earned a reputation for precise quality control and inexpensive shelf products. Their methods of production include a self-sufficient model which calls for all components to be manufactured in-house for unrivaled inspection stringency.